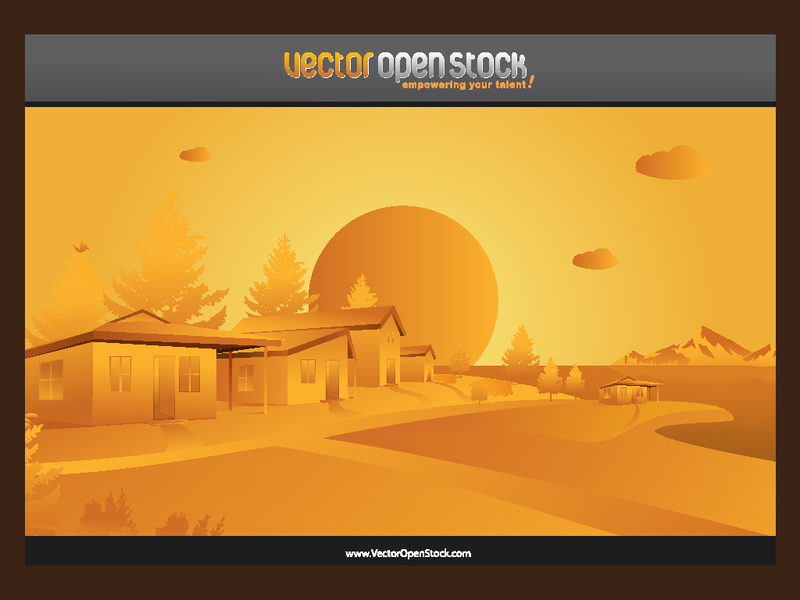 Download this country landscape for your wallpapers, illustrations and design projects. A nice warm color scheme gives the scene an arid look. A cool addition to your wallpaper and background collection. Tags: Houses, Landscape, Neighborhood, Outdoor, Rural, Warm.